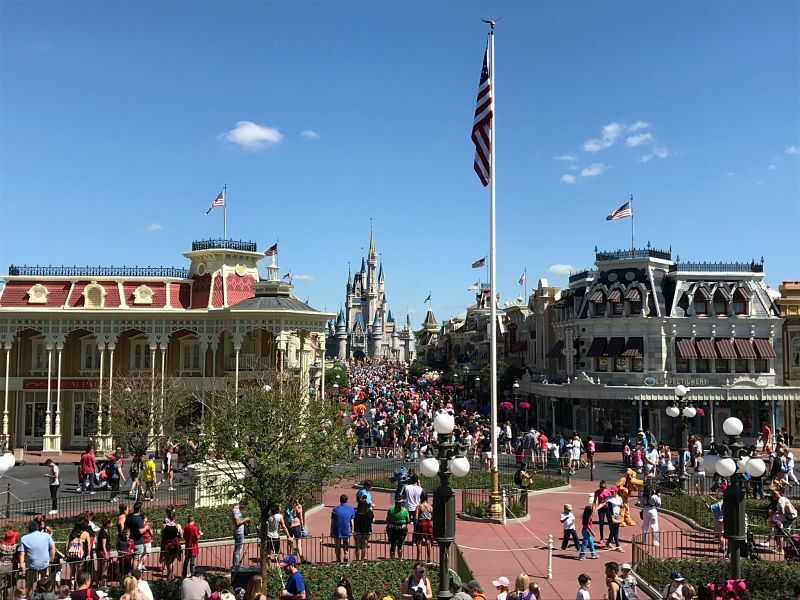 Guests entering the Magic Kingdom emerge from the tunnel under the Walt Disney World Railroad and step into the turn of the century American Main Street, U.S.A. You'll first enter the Town Square complete with a City Hall (Guest Services) and Fire Station. 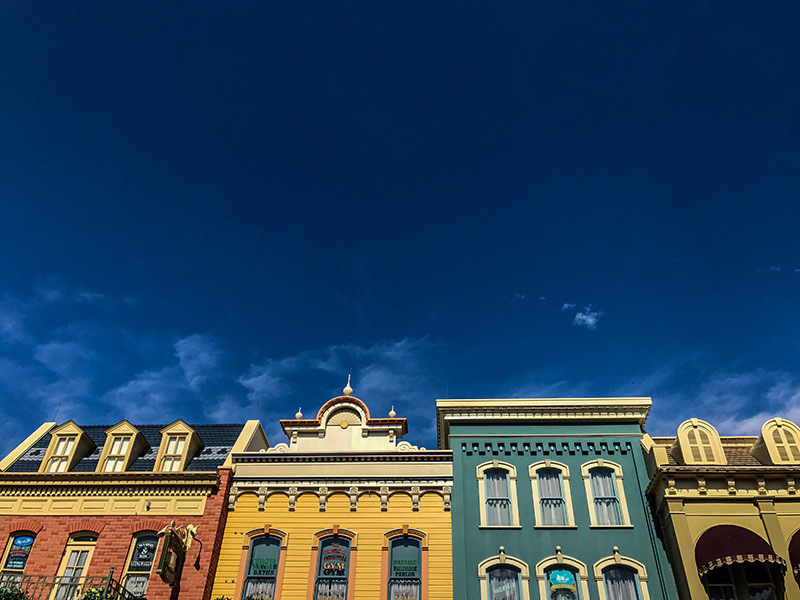 Travel along Main Street in a Disney horse drawn trolley, fire engine, omnibus, jitney or horseless carriage. Along the way you'll pass such hometown staples as the Main Street Bakery and Main Street Cinema. The windows above the shops include the names of Disney executives, contributing artists and family members. As you pass under the Main Street Walt Disney World Railroad station, you'll find the "Theater" on your right. (This was originally the Town Square Exposition Hall). The Town Square Theater offers a few different things for guests. Probably the most popular is the meet and greet area for Mickey Mouse. Read about this experience here. Tinker Bell's Magical Nook is also open here for guests to meet Tinker Bell. The Theater is also the home to the Camera Center. This is a terrific spot to get any camera supplies that you may need (Did your camera run out of batteries after you'd waited in line for that treasured character photo?). PhotoPass headquarters are located here as well. You can view your PhotoPass pictures, order prints or CDs, and ask any questions that you may have about this service. Finally, for pin collectors, there's a select assortment of pins found here. You'll also find a variety of picture frames available for purchase, as well as a limited selection of merchandise. In the Fire Station, guests can take part in an interactive game called Sorcerers of the Magic Kingdom. Pick up a map and a packet of spell cards, then head out on a quest to become an apprentice of the wizard Merlin as you battle the evil Hades as he tries to take over the Magic Kingdom. The street ends at the Plaza, or hub of the Magic Kingdom, with the breathtaking Cinderella Castle. At the Main Street train station for the Walt Disney World Railroad, guests board one of the four steam powered trains for a 1½ mile trek around the Magic Kingdom. The trains, "Lily Belle", "Roy O. Disney", "Walter E. Disney" and the "Roger E. Broggie", are authentic steam engines found by Disney in Mexico, and brought to the U.S. where they were completely overhauled. The 20-minute journey is a slow, but relaxing way to enjoy the park. Hungry guests will find a number of choices along and close to Main Street. The sit down restaurants in this area are the The Crystal Palace (Character buffet), Tony's Town Square (Italian), and the Plaza Restaurant (sandwiches and burgers). For fast food, Casey's Corner offers hot dogs and fries. Snacks and beverages can be found at the Plaza Ice Cream Parlor, Main Street Confectionary, and the Main Street Bakery. Every imaginable souvenir can be found in shops like The Chapeau (for monogrammed Mickey ears), Crystal Arts, Main Street Gallery, Newsstand, Uptown Jewelers, Main Street Cinema, Disney Clothiers, Main Street Athletic Club, and the Emporium. The Main Street Trolley Show showcases 12 performers in their energetic routine right down the middle of Main Street, U.S.A. 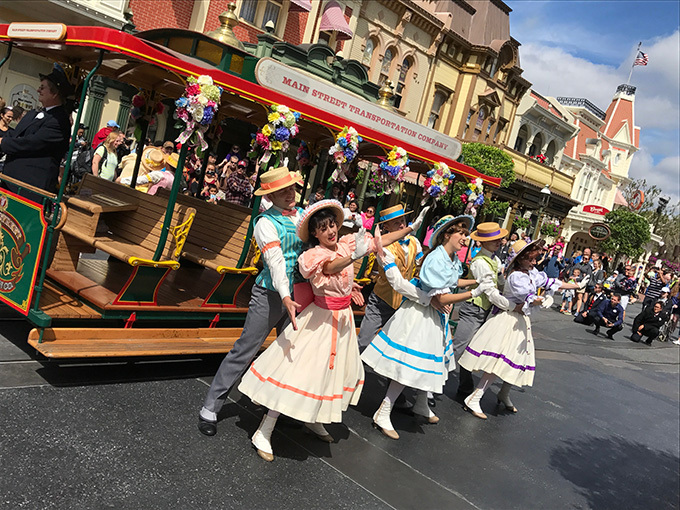 The performers sing and dance together in unison as they sing iconic songs like “The Trolley Song," "Walkin' Right Down the Middle of Main Street, U.S.A.," and more! The Main Street Trolley Show happens throughout the morning with the last performance typically happening at 12:45 p.m.
Six times a day, the Dapper Dans Barbershop Quartet perform live for 20 minutes on Main Street, U.S.A. 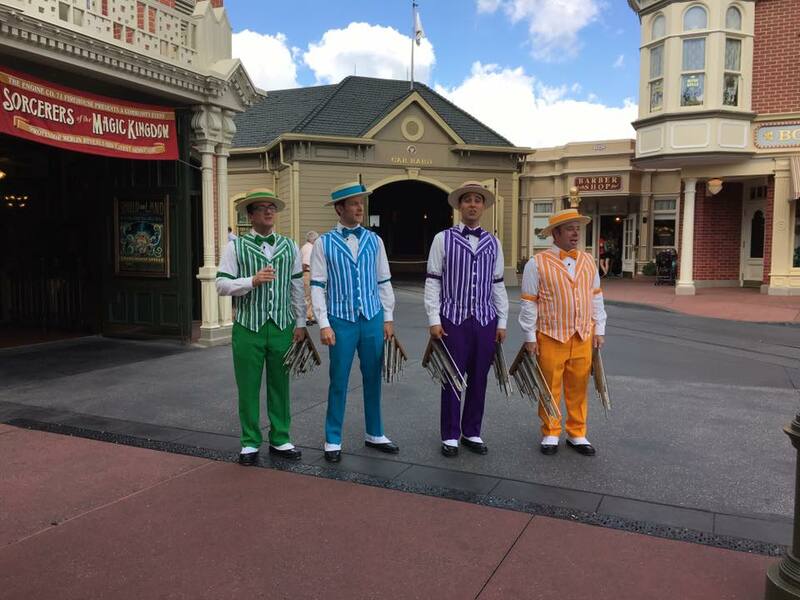 The Dapper Dans wear their trademark straw hats, striped vests, bowties, spats and taps as they sing together a cappella in a four-part harmony! This show features characters from The Princess and the Frog, Tangled, and Frozen. The storyline for the new show has Mickey and his “troupe of Merry Makers” getting ready for a festival and traveling “far and wide to invite friends from other lands to join their celebration. From the Land of the Bewitching Bayous, Goofy has invited Tiana, Naveen and Louis to add a little spice of New Orleans jazz to the party. From the Land of the Enchanted Woods, Donald Duck brings some new friends he met at the Snuggly Duckling, and Daisy introduces us to her special guests, Rapunzel and Flynn Rider. Finally, Mickey shares a surprise with Minnie, as he has traveled to the Land of the Mystic Mountains to invite Olaf, Anna and Elsa, who contributes a blast of her icy magic. 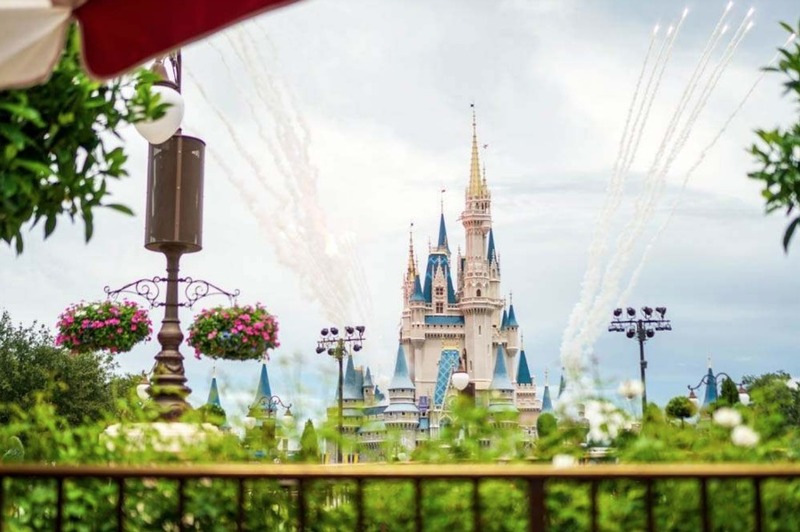 It all culminates in a grand dance, as the Merry Makers invite all their special guests to join in the fun on this special day in Magic Kingdom Park!"